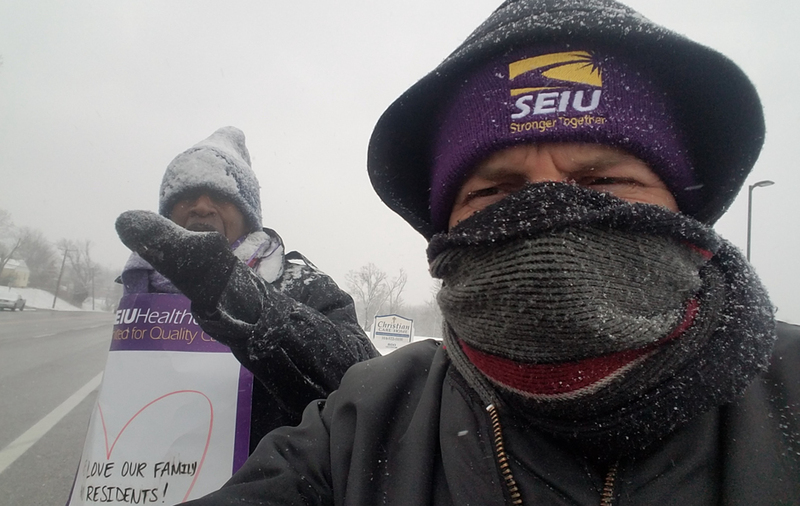 FERGUSON, Mo.—Braving freezing temperatures while on the picket line, the striking workers at Christian Care Nursing Home ratified a new contract last week exactly 104 days after marching off the job to protest unfair working conditions. 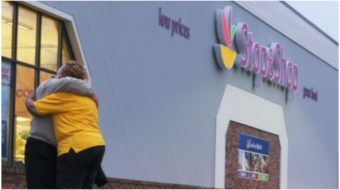 With the new contract, the workers here have scored a major win. Steward and strike leader Brenda Davis said in December 2017 when the strike began that workers were driven to the picket line by cuts in work hours, last minute schedule changes without notice, the denial of pre-approved vacation, and poverty wages. The unfair labor practice strike at the nursing home occurred close to the anniversary of the 1968 Memphis sanitation workers strike, and shared much in common with the ’68 strike—the most visible being a white management body denying a predominately black and female workforce their rights on the job. Strikers took any means necessary in their fight for justice and applied continuous public pressure on the nursing home. Tactics included raising the community’s awareness of the fight by leafleting neighborhoods and speaking at the Ferguson City Council meetings, performing direct actions outside the nursing home CEO’s house on Christmas Eve, and holding demonstrations focused on informing financial donors to the nursing home about its practices. 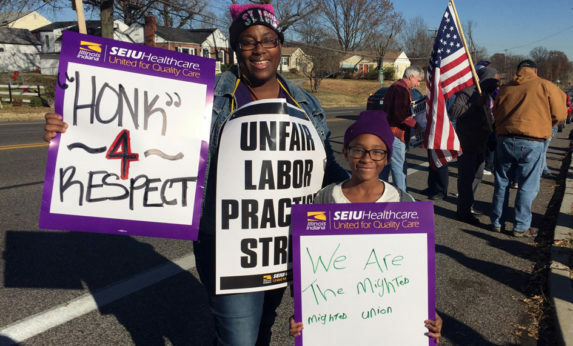 The workers at Christian Care are represented by SEIU Healthcare Missouri-Kansas, a union which sees its goal as representing not just its members in their respective workplaces, but also the community at larger in the fight for civil rights and social justice. From the start, the union made it clear that it saw the strike against Christian Care’s practices as a civil rights issue, and the larger labor and progressive community responded to its call for support. From day one of the strike, allies were on the line with Christian Care workers. From SEIU members in other workplaces to community supporters including disability rights advocates to LGBTQ activists, individual supporters joined the pickets. Members of local progressive organizations, including the St. Louis Workers’ Education Society (WES), Missouri Jobs with Justice, the Communist Party USA, and Democratic Socialists of America were regulars on the line at Christian Care. Local labor leaders, elected officials, and hopeful candidates were daily visitors. Stephen Webber, the chair of the Missouri Democratic Party visited weekly, and even U.S. Rep. Keith Ellison, D-Minn., flew down and showed his backing for the workers. However, it was not only face time that supporters contributed. Donations of money and supplies from allies like the Machinists District 9, the Coalition of Black Trade Unionists, the state chapter of National Education Association, Pipefitters Local 562, Painters District 58, WES, and others kept strikers going through the dead of winter. Another constant ally through the entire strike were the members of Teamsters Local 688. Not only were their orange shirts a constant sight on the picket line, but on more than one occasion, they fired up their grills to provide lunch to picketers. With the strike now settled and a contract in hand, workers marched back into their workplace March 19, supported by their community allies. Under the terms of the collective agreement, workers can expect to receive an across-the-board salary increase effective March 1, 2019, or earlier if other staff receive pay increases before then. If the statewide minimum wage increases via voter ballot initiative, then nursing home workers would receive an additional increase to their wages on top of what was negotiated. Currently, community and labor are collecting signatures to get the minimum wage increase on the Missouri mid-term elections ballot. 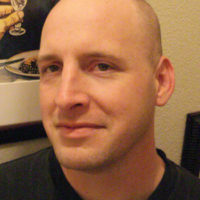 According to the union, other provisions in the new contract, which runs through Feb. 29, 2020, include: Christian Care Nursing Home paying the increases in health insurance rates for this year and for half of any increase to insurance rates for 2019 and 2020; payouts of unfair labor practice and grievance settlements must be made within ten days; and seniority must be followed when employees return to work, with striking workers returning to their original status and shift, as feasible. And by extension, the larger community of labor, faith, and community organizations got an education in the intersectionality of struggles, the value of a union, and the need for solidarity. 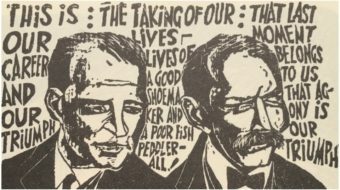 Most important of all, the labor and social justice movement of the entire St. Louis region has grown more tight-knit and effective in the course of the Christian Care strike, with a greater understanding of the common mission than has been seen in decades.